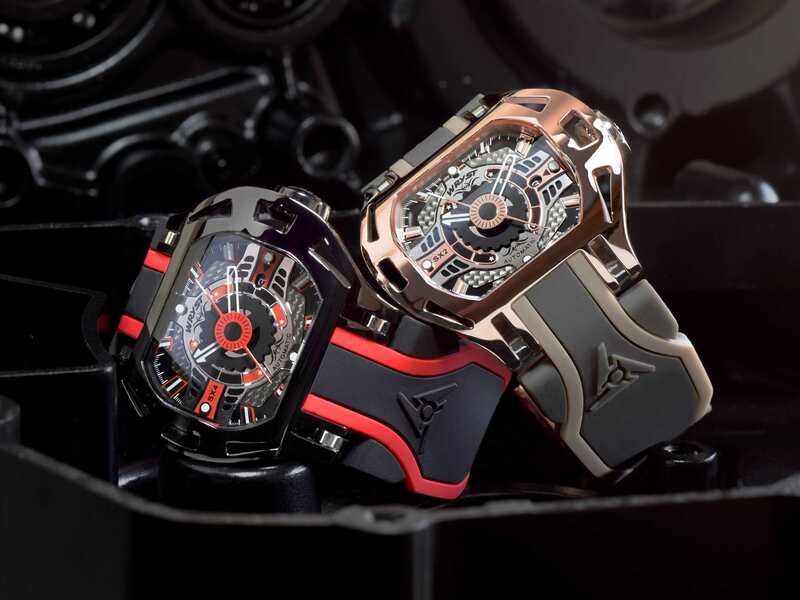 First off is the new 2018 automatic luxury Swiss watches Wryst Racer SX4 in polished black DLC, and the Wryst Racer SX2 in polished Rose Gold. 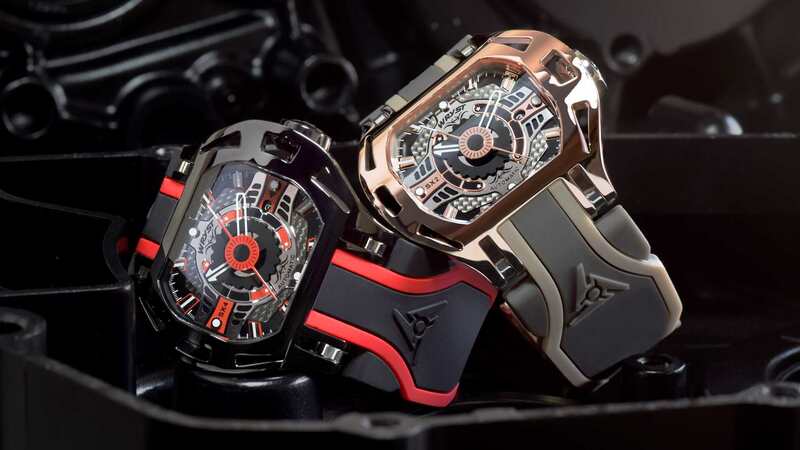 The two exclusive timepieces produced in limited edition of only 75 pieces are shot on top of a black motorbike engine crank. 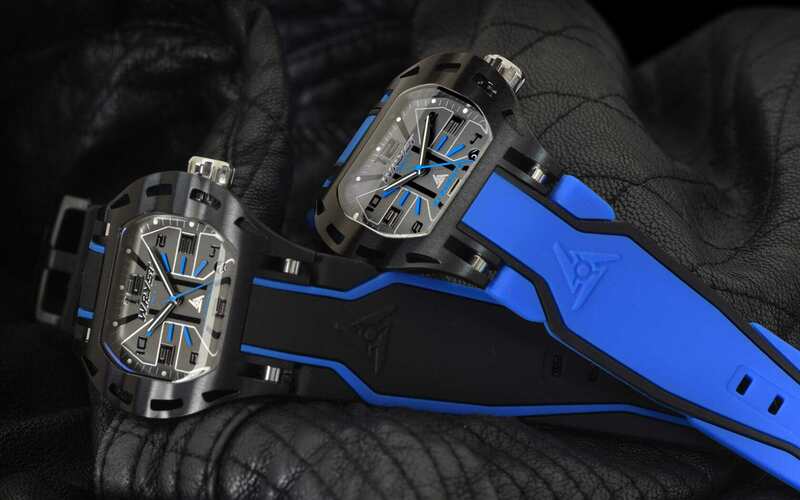 The recently released chronograph luxury watch Wryst Force SX230 with shiny polished casing and deep blue dial. Inclusive of two different bracelets, the watch is shown fitted with the white bracelet with blue lines. 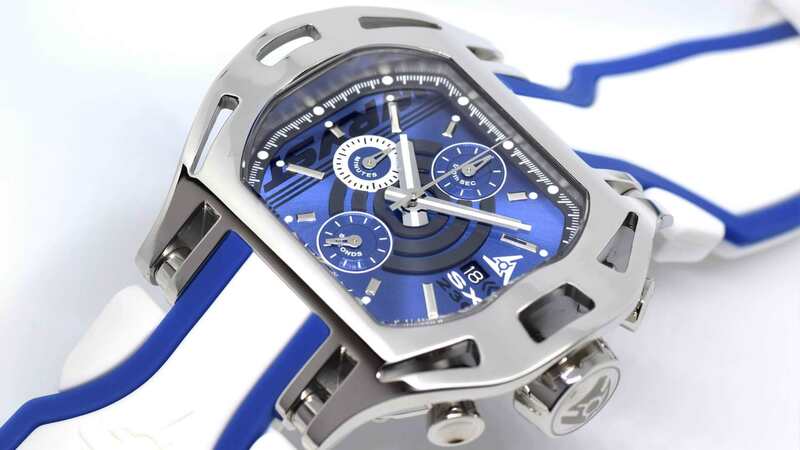 With unusual sporty design and produced in a limited edition of 75 watches. 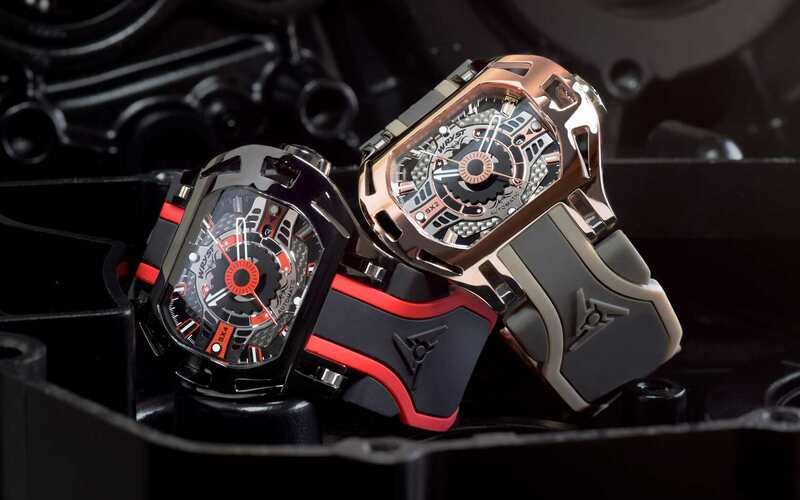 The quartz Swiss sports watches Wryst Elements are available in black and blue, black and red, black and yellow, black and green, and stainless steel. With Celebrating the incredible world's fastest road race! 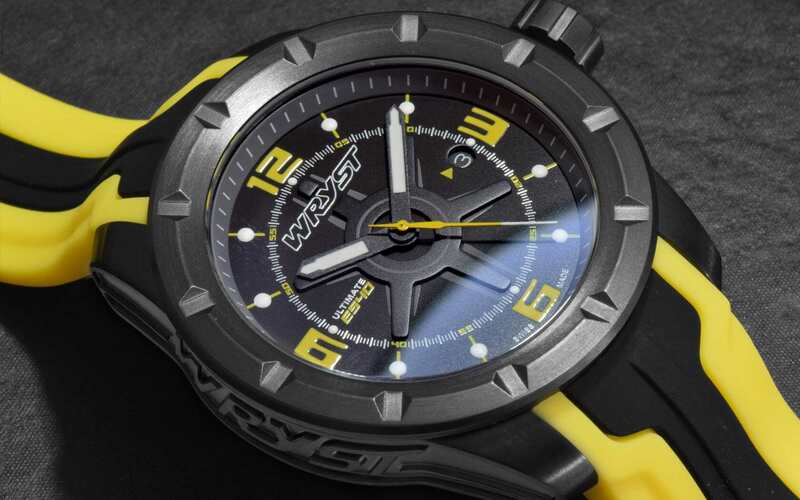 More motorsport-inspired than ever, Wryst offers an epic watch. 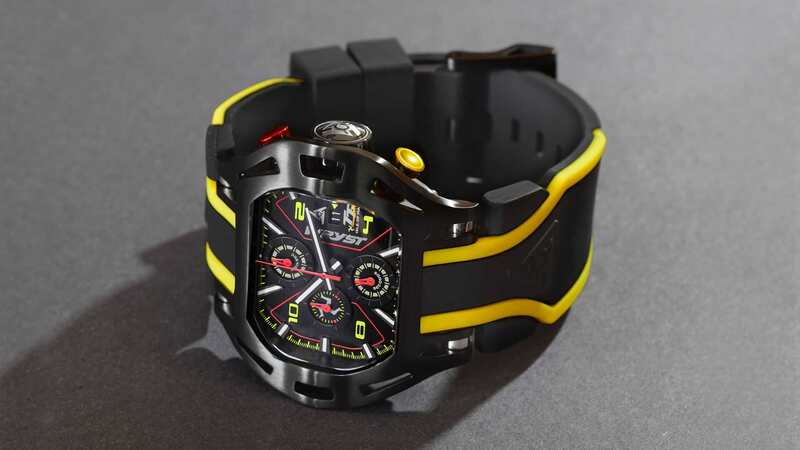 Official timing partner of the Isle of Man TT races, the Wryst TT watch is produced in a unique special edition. Racers, fans, and people enjoying the show every year around the Snaefell Mountain will love this timepiece. With colors in black, red, and yellow, the TT chronograph also benefits from a large 50mm case size and sapphire crystal.